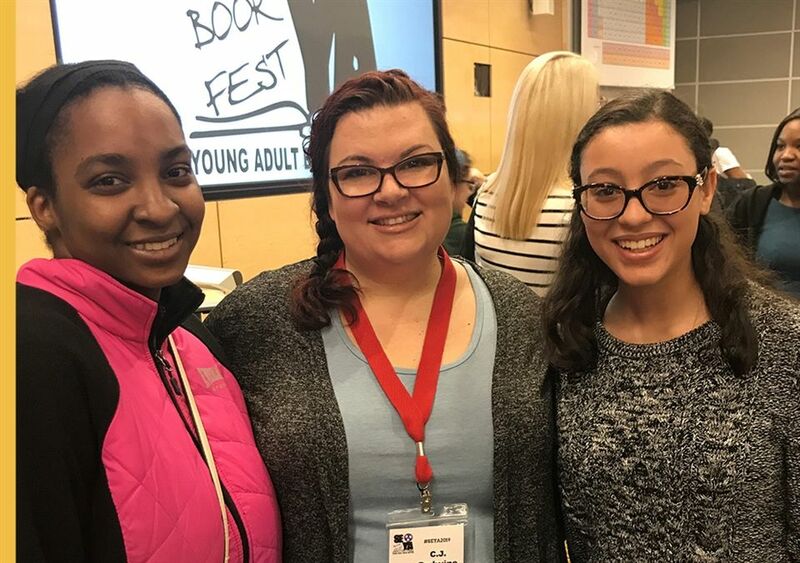 Two members of Epsilon Beta Book Club traveled to Murfreesboro, TN, for the Southeastern Young Adult Book Festival. The primary goal of the “SE-YA Book Festival” is to encourage and develop literacy in young adults by connecting them with authors, thereby advancing education in the community. The students had the opportunity to meet C.J. Redwine, author of the “Defiance" trilogy and “Ravenspire” series!